3 Bedroom Semi Detached House For Sale in Worcester for Guide Price £340,000. 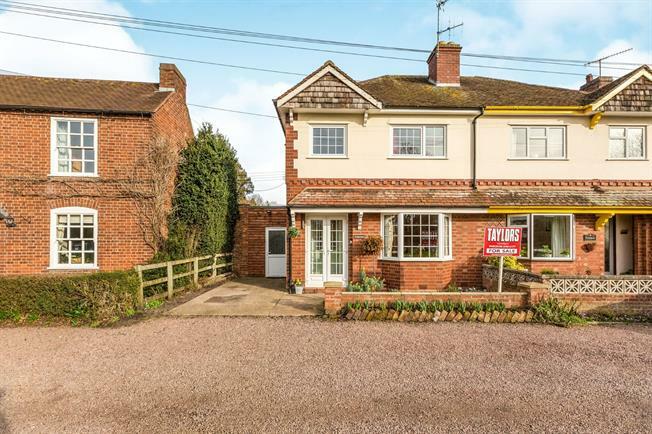 A beautifully presented, three bedroom semi detached traditional home, located within the much sought after Village of Hallow, overlooking the Green. As well as being situated in such a wonderful location, this property also comprises of an entrance porch, lounge, dining room, kitchen, the downstairs is completed with an integral garage and downstairs cloakroom, to the first floor is three bedrooms and the family bathroom. A great opportunity to acquire a stunning home in a beautiful location, call 01905 611777 to arrange a viewing.